Working undercover is a job and an attitude. A mad dog narco cop blurs the line between cop and criminal as he mentors an idealistic rookie partner during the rookie's training day. 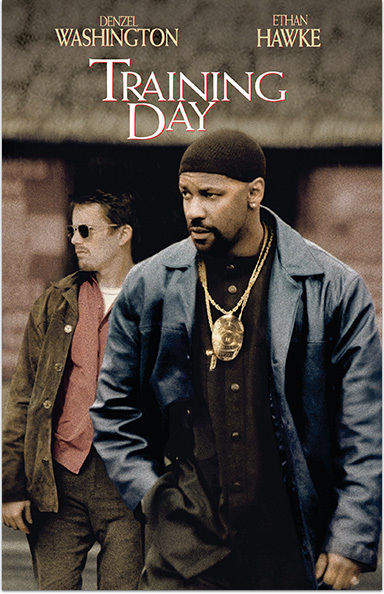 TRAINING DAY © 2001 Warner Bros. Entertainment Inc. All Rights Reserved.